If you’re a member of a military family, you know what a big job moving is. And it doesn’t have to be shipping out – moving every few years from base to base means streamlining everything you own and reorganizing. If you found out you’re getting reassigned or you’ve got a job transfer coming, you may want some assistance with the burdensome task of moving. 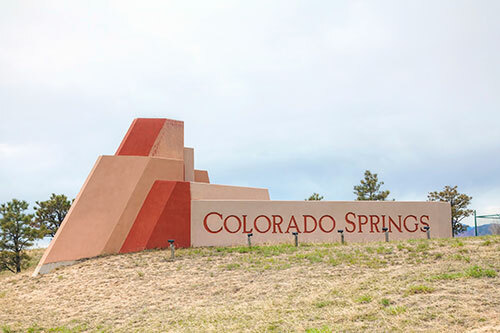 Do you need car shipping to or from Colorado Springs? If you’re active military, you get a discount as a thank you for your service! 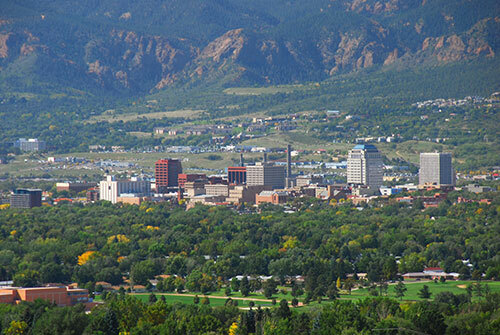 Why choose Easy Car Shipping for vehicle transport to or from Colorado Springs? 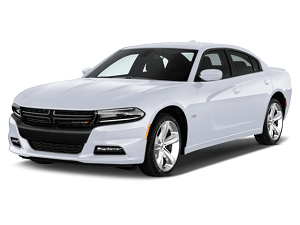 If you bought a car online and have to figure out how to ship it home, or if you’re a dealer with clients as far away as Miami, you’re probably looking for car transport companies in Colorado Springs with experienced, trustworthy professionals. Do you need to get a 4-wheel drive to your son or daughter at the Air Force Academy? Are you looking for van transport from Colorado Springs to get it from your corporation to a dealership or delivery site? 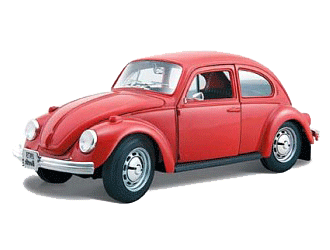 For over 30 years we’ve shipped virtually every style of vehicle you can imagine. 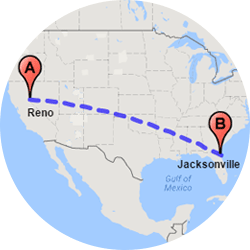 Do you need to ship a car from Colorado Springs to the East Coast? If you’re facing a corporate transfer, or up for retirement and want to bring your Lexus wherever you go, you can depend on us to follow the details of your job at all times. 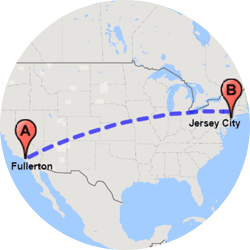 We stay in close communication with you throughout the car relocation process. Are you a major researcher, who only buys a car after years of looking through issues of Car and Driver? When you read the reviews from our clients, we’re sure it’ll reinforce your confidence in our performance as the safest, most reliable truck and car shippers in Colorado Springs. 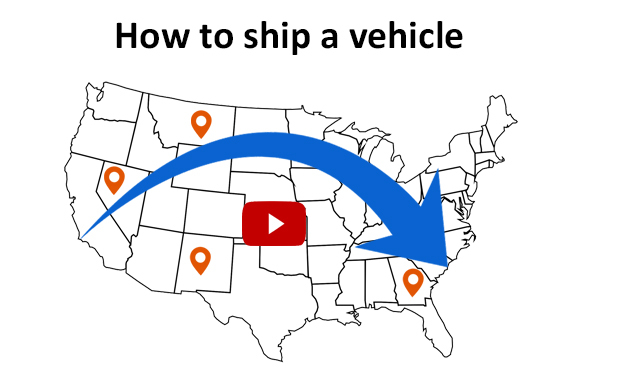 How much does it cost to ship a car to or from Colorado Springs? Is the U.S. Government or another employer paying for your move? If so, does that include the car relocation from Colorado Springs to your new assignment? One way or the other, if it’s your responsibility to find car shipping services, the challenge is to search auto transport companies in Colorado Springs for both reliable and affordable options. And you don’t want to compromise on either one! We’re here to tell you, it’s actually affordable, but you don’t want to scrimp on an auto transporter, when it’s something as large as a car. The good news? Because we have so many industry contacts, we can bring you competitive pricing. And some of the costs are up to you. Your car’s condition, plus features, such as size and modifications to your vehicle, may affect the quote you receive. Auto shippers in Colorado Springs will need to take the timing of the job into consideration also. If there’s little flexibility in regard to deadlines, you may need express auto transport, which costs more than standard delivery. And depending on whether it’s a simple car, truck or van transport in Colorado Springs, versus if it’s a shiny new convertible you just ordered, you may choose enclosed car transport, which may affect the cost. Want more good news? At Easy Car Shipping, our Quick Quote system locks in your price for 14 days – while other car transport companies in Colorado Springs typically limit their guarantee to 7 days. 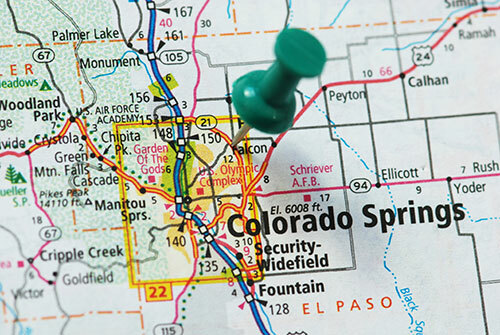 How long does auto transport take to or from Colorado Springs? 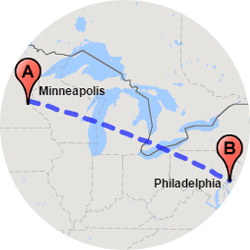 We can arrange a pick-up of your car or other vehicle as quickly as 24 hours with our express auto transport services. But even standard service is usually just 2-7 days from the time you call. Where is it going? The speed of delivery is affected by how far the car transporter in Colorado Springs is taking your vehicle. Also, is it going to a rural community? 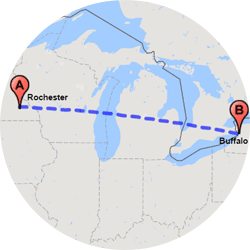 Sometimes deliveries that are outside of larger cities take longer to arrive. 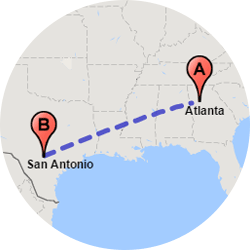 If your car delivery from Colorado Springs is going to your daughter at Kansas State, for instance, your driver will cover about 200 miles a day. 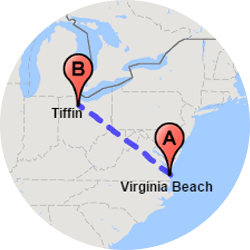 But if you’re moving your family to Fort Bragg using our nationwide auto shipping, carriers may complete up to 500 miles per day. 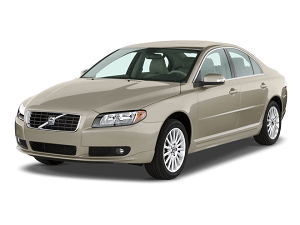 When do you need car shipping services from Colorado Springs to the delivery site, or vice versa? If you live in the mountains, you know how much seasonal weather can affect deliveries! Winter delays aren’t uncommon, nor are seasonal traffic slowdowns. But we take those into consideration when we give you our estimate, and we work diligently to keep your delivery on schedule. Most of us are pretty familiar with open vehicle trailers on the freeway. As you can see, they carry 7-10 cars at a time and it’s safe transportation, but vehicles are exposed to the elements. Do you have a pretty pricey car? Is it a Maserati or a Bentley? If its value is $70,000 or more, you may want luxury car transport. Enclosed car transport in Colorado Springs gives your vehicle a first class ride. Do you drive a Maserati or a high-end BMW? If you need an exotic car transport in Colorado Springs, you’ve come to the right place. Though enclosed car shipping costs more, it’s ideal for vehicles with high emotional or dollar value. There are fewer enclosed vehicle haulers because there’s a smaller customer base, so the pick-up window may have to be slightly larger. Still, if you have a hot rod or your dad’s mid-century Stingray, you probably want the four walls and roof that it provides. We do motorcycle shipping and truck transport to and from Colorado Springs. 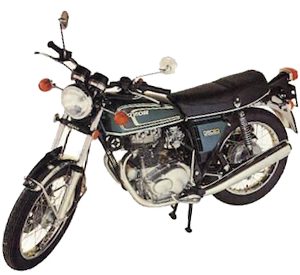 Are you in a bike club now, so figured you’d buy a new Suzuki on ebay? 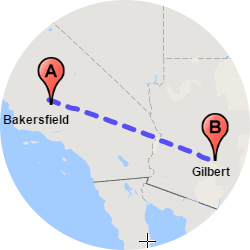 When you ship a motorcycle to/from Colorado Springs, we can book that for you too. Or if you sized up, searching CarsDirect or AutoTrader for a new F-250 or a Ram, we can also ship a truck to Colorado Springs for you. Do you have a golf cart-friendly neighborhood or live near a course? We provide golf cart transport in Colorado Springs as well. Are you a car dealer, like Phil Long or Al Serra? You probably have clients who need quick and dependable car delivery. We provide reliable auto transport from Colorado Springs to anywhere else. Do you and your friends collect and refurbish muscle cars? 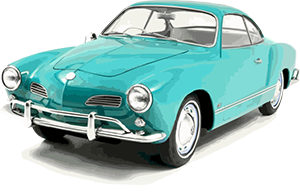 Do you need classic car transport from Colorado Springs? We take every precaution with such special cases, you can be sure. If you’re on the move and don’t want to leave your brand new Audi, it’s important to get guarantees. At Easy Car Shipping, insurance is included in the price! If it’s got sentimental value or dollar value, we know you want the peace of mind you get with the added coverage. When hiring a transport company for cars you want proof of full insurance coverage for the duration of the job, on the rare occasion that there’s any sort of damage or a dispute with the carrier. 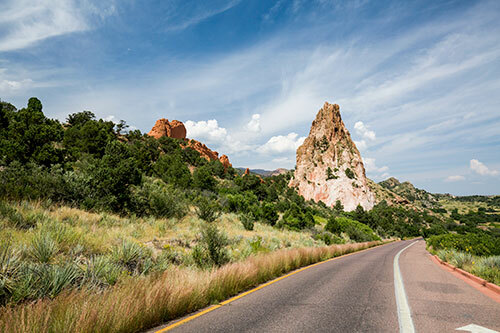 We want you to breathe easier when you trust us with the responsibility of handling your auto shipping from/to Colorado Springs. We know how important your vehicle is to you and we want you to be 100% pleased with the service. 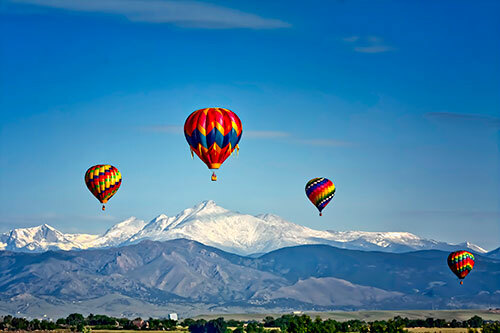 A little like Pike’s Peak, we’re a rock solid company with more than three decades in the auto industry – you want someone who knows what they’re doing with a job of this stature, and we’re happy to assist you.